Is your home suffering from condensation or mould problems with damp patches and black mould spores visible on the walls or ceilings? This can be due to poor ventilation issues in your house, apartment, flat, bungalow or commercial premises. GJ Whittaker Electrical Contractors of Warrington can now fit and supply the market leader Nuaire range of energy efficient domestic, commercial and renewable ventilation solutions. 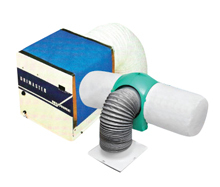 The installation of a Nuaire air ventilation system can greatly help to reduce and remove condensation or mould issues from your property. Does your property have this problem? 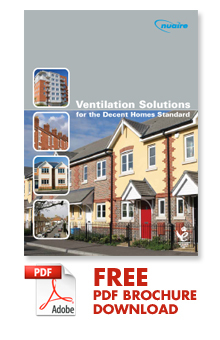 Did you know condensation accounts for approximately 70% of reported damp problems in domestic dwellings. Condensation dampness is a result of too much moisture in the air generated by bathing, showering and even breathing. Most homes will experience condensation dampness with streaming windows, damp surfaces and musty smells being tell-tale signs. Mould and condensation problems have been prominent issues in domestic housing for a number of years and the need for homeowners to protect themselves against the mould & condensation issues has significantly increased in recent times. Mould and condensation issues have also greatly increased due to better performing heating and insulation and new types of airborne particles being introduced into dwellings as a result of modern furnishings and cleaning products. Since the 1930’s the effectiveness of natural ventilation in properties has been greatly reduced as we strive towards more energy efficient housing. This now means that dwellings due to government energy saving initiatives are now usually fully insulated, double glazed and have central heating systems, all inhibiting natural airflow and reducing area for moisture to escape from the property. During the last few years indoor air quality and noise pollution has become the main concern to a lot of UK residents. 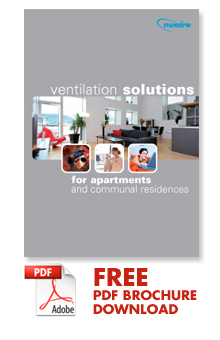 Why choose a Nuaire Positive Input Ventilation (PIV) System? Nuaire conduct a lot of research and development into providing modern ventilation and understand it’s about people and providing a good level of indoor air quality whilst ensuring an effective building performance. Critical factors such as air quality, energy efficiency and noise pollution are always considered to ensure suitable product selection. By conducting research it’s also been identified that noise is an increasing issue in buildings today. The introduction of government targets including the redevelopment of existing sites and planning restrictions has meant that nearly 70% of new dwellings are now built on brown field sites close to industrial sites, busy roads and airports. The average density of developments has also increased from up to 25 dwellings in 1997 to around 40 at the moment. The 1996 English Housing Survey suggested that 1 in 4 homes in England is affected by noise pollution however Nuaire constantly develop and innovate new systems to minimise noise pollution. 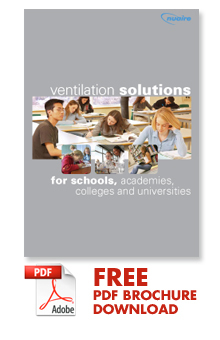 How does the Nuaire Positive Input Ventilation (PIV) System work? Are you a property landlord with tenants experiencing damp & mould issues? Some of the category 1 hazards listed in the HHSRS government scoring sheet are: damp and mould, cold, noise & heat issues. G&J Whittaker Electrical Contractors team of Warrington based electricians cover the North West and Cheshire including Warrington and all surrounding areas, Knutsford, Lymm, Northwich, Winsford, Middlewich, Tarporley, Frodsham, Helsby, Altrincham, Bowden, Kelsall, Cuddington, Runcorn, Widnes, Sandymoor.